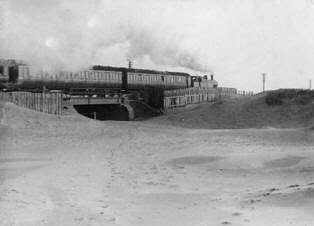 Train near the Watson Road area of South Shore, Blackpool in November 1914. Blowing sand could be so severe that the line would be closed. 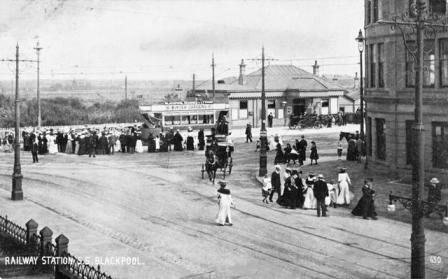 South Shore Station, Lytham Road, Blackpool c1905; the Grand Hotel is on the right. 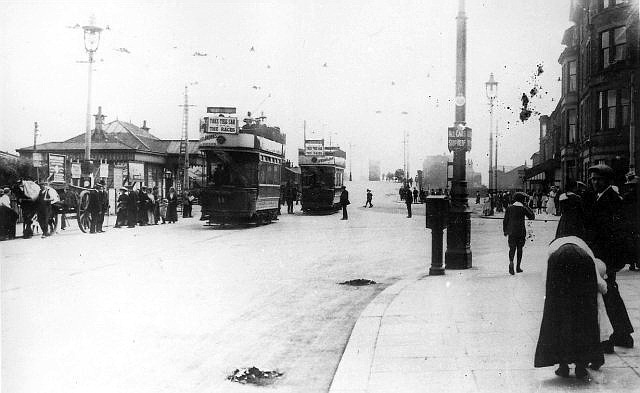 South Shore Station, Lytham Road, Blackpool c1911; the Grand Hotel is on the right.